President Jacob Zuma. File Picture: GCIS. Opposition MPs on Tuesday told President Jacob Zuma he had failed to match up to his predecessors, Thabo Mbeki and Nelson Mandela. Democratic Alliance leader Lindiwe Mazibuko was the first opposition party leader to tell the National Assembly that Zuma’s “poor leadership” had reversed much of the progress South Africa had made up to 2009. Mazibuko vowed to table a motion to impeach Zuma if the public protector’s report on Nkandla found him guilty of wrongdoing. Speaking during the debate on Zuma’s state-of-the-nation address, Mazibuko told MPs she wanted to deliver a strong message on the Nkandla “scandal”, which involved spending over R206 million of public money on Zuma’s private homestead in KwaZulu-Natal. Mazibuko said she could not guarantee opposition parties would win such an impeachment vote, but said millions of South Africans would be calling on MPs to do the right thing. Public Protector Thuli Madonsela’s report on Nkandla is set to be released on March 1. Minutes later, Congress of the People leader Mosiuoa Lekota said the country was ruing the day former president Thabo Mbeki was forced out of office. “South Africa today is less happy than when President Mbeki was driven out of office,” he said. Lekota served as a minister under Mbeki and broke away from the ANC in 2008 after Mbeki was forced to step down as president. He said under Zuma the country had racked up trillions of rands in debt and wasted billions more every year. IFP leader Mangosuthu Buthelezi said Zuma and his government made promises but delivered very little. “Considering this last quarter of our democratic era, one blatant truth demands to be spoken: Mr President, under your watch, this government has failed South Africa,” Buthelezi said. Some MPs in ANC benches heckled Buthelezi, while Zuma and some of his Cabinet ministers sat chuckling in their seats. Buthelezi quoted both Nelson Mandela and Archbishop Emeritus Desmond Tutu on their warnings that people should criticise the “oppressed” if they became the “oppressors”. “It is painful, but I cannot stand in this House in good conscience and say that today’s ANC is the ANC in which I cut my political teeth. It is not the same creature. It is hideously transformed,” Buthelezi said. Election day, he said, would be an acid test for the country. 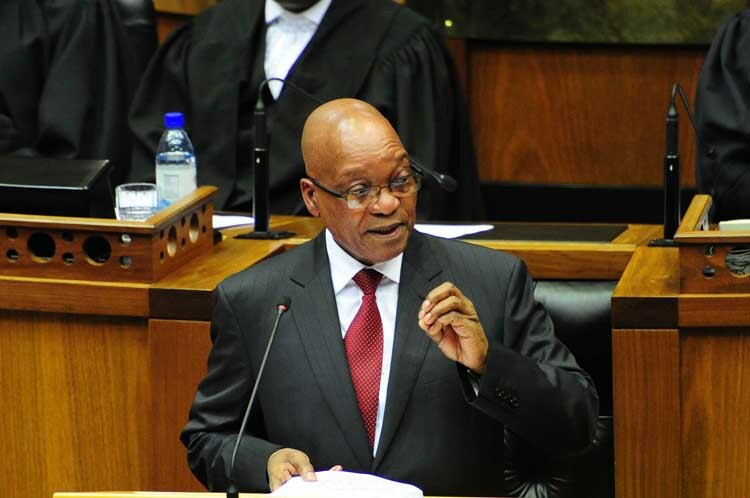 Cabinet ministers jumped to Zuma’s defence. Home Affairs Minister Naledi Pandor said Zuma was correct to say the country had a good story to tell. “In fact, it is an extraordinary story of a remarkable political and socio-economic transformation, one that is probably unparallelled in recent history both for the speed of its achievement and the wide-ranging diversity of areas that have seen fundamental change,” she said.